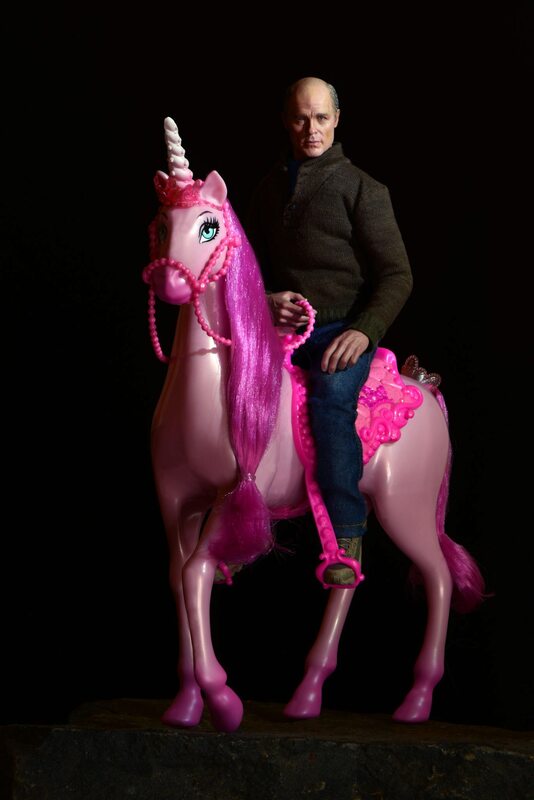 Image credit: Neale Stratford, The Cavalry, 2014, Archival Pigment Ink on Aluminium 24 x 20 cm. Image courtesy of the artist. 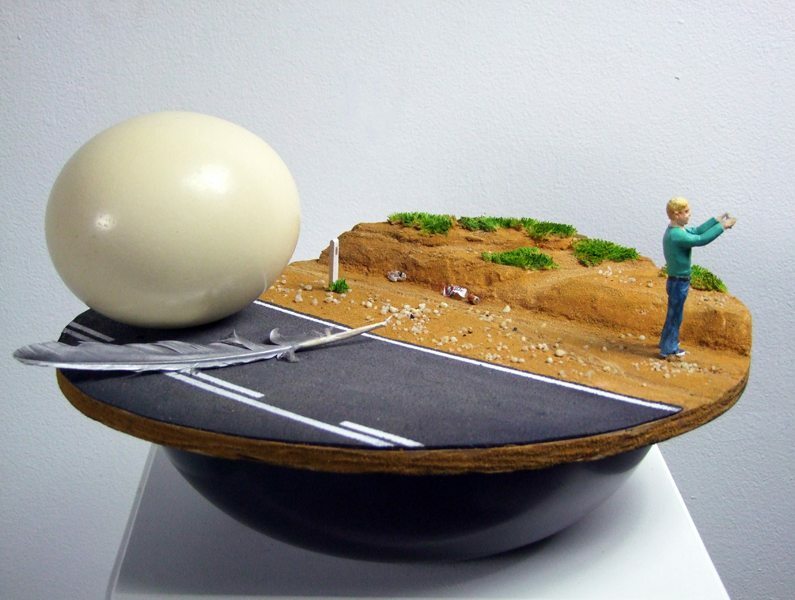 Image credit: Colin Suggett, Selfie, 2016, Mixed media sculpture, 40 x 33 x 22 cm. Image courtesy of the artist. 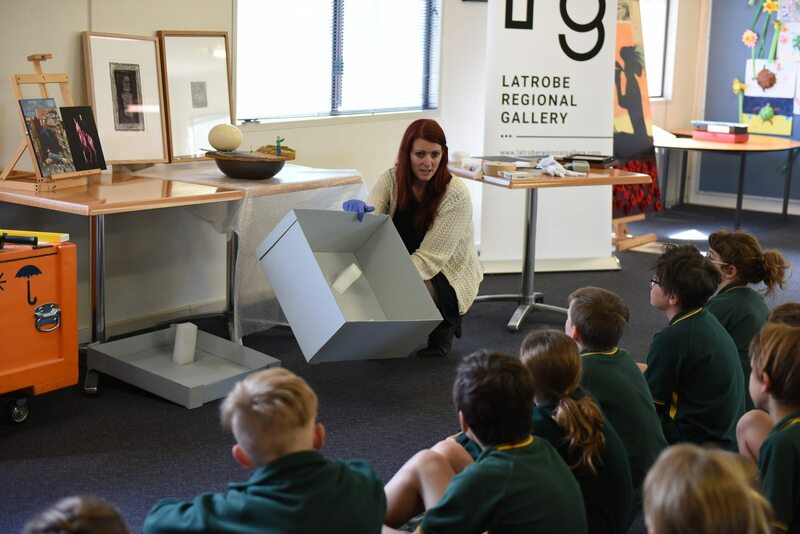 The LRG on Tour: Education Resource is a program which is delivered by LRG Education & Public Program staff as an educational tool within a gallery context, or as outreach for regional schools. LRG Education & Public Program staff will deliver a two hour session that includes a hands on workshop, hand outs, and the opportunity to view artworks from a variety of local artists represented in LRG’s permanent collection which are stored in industry-standard crates and boxes. This program is designed so that students of every level can receive information on all aspects of running an exhibition and gallery. The on-site LRG on Tour: Education Resource also includes a tour of current exhibitions, and back-of-house storage facilities. The workshop will provide students with necessary skills that will enable them to understand Australian gallery and museum standards, handle and store artworks, climate and environment control, condition reports, understanding wall text and labels, and preventative conservation. Students will then have the opportunity to ‘curate’ their own designed exhibition referencing the LRG on Tour artworks. To enhance the learning outcomes from this program, teachers will receive an education kit featuring high quality posters of the artworks included in the LRG on Tour: Education Resource, as well as information regarding the artists, artworks, and activities which respond to a variety of curriculum requirements. For more information or an education kit please email Acting Education & Public Programs Officer Meghan Bye meghan.bye@latrobe.vic.gov.au or phone 5128 5708. Image credit: Rodney Forbes, Arctic Terns over Point Gellibrand, 2015, Lino cut A/P, 20.3 x 76.1 cm. Image courtesy of the artist.